Vermont is a national leader in the use of wood chips for renewable heat and electricity. 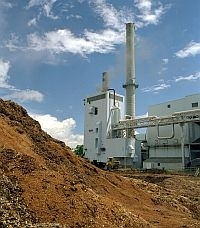 Thirty-six public schools in the state use wood-chip heat, and two power plants use wood to generate power. A number of hospitals, state buildings and colleges have co-generation systems that do both. Now, at least four municipalities in the state are considering building wood chip plants that would feed electricity to the grid and heat all or part of their downtowns. But how clean, and how carbon-neutral is this type of biomass energy? And how many of these projects can our region’s forests support?